Closest tram stop is Deansgate and closest train station is Oxford Road. 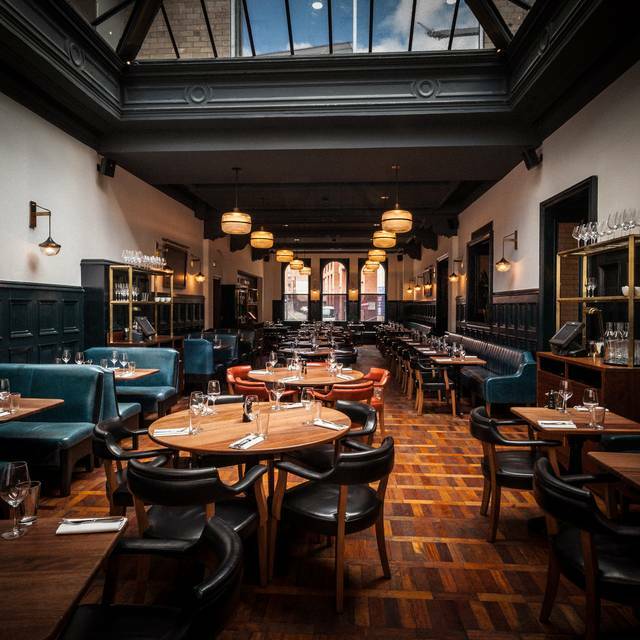 Hawksmoor Manchester, the sixth in the group and the first Hawksmoor venture outside of London, opened in March 2015. 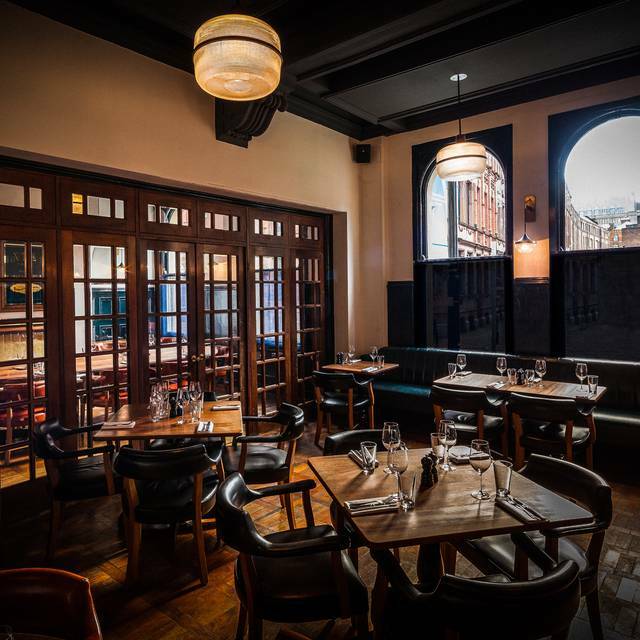 Located within The Old Courthouse on Deansgate, Hawksmoor Manchester boasts a 137 cover restaurant with private dining, and a 44 cover bar. 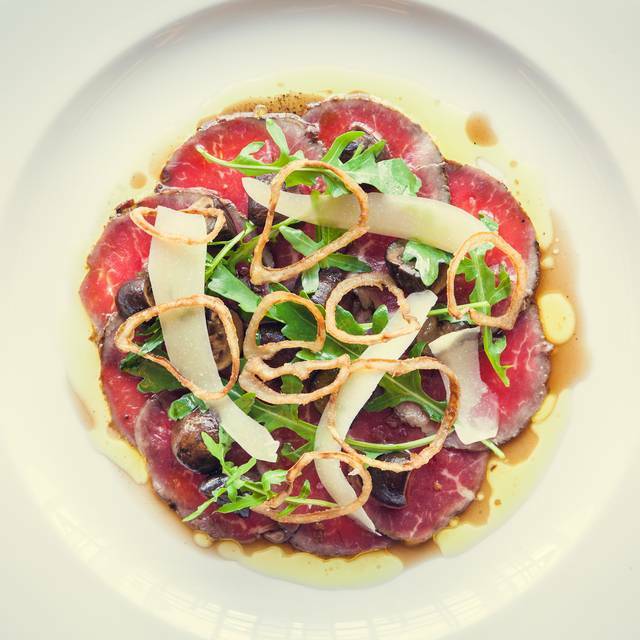 The menu revolves around steaks from ethically reared cattle all from small British farms along with sustainable seafood from around the British coast. The evening was a joy. Staff were attentive and supportive. The only areas to disappoint were the lack of choice for a veggie ( I know it is a steak house but choice is always nice) and the level of cooking of the steak, it would be advisable to understate the level of cooking (say rare if medium/rare wanted). Staff, other food etc excellent. Steak, salad, mushrooms and fries all cooked and seasoned to perfection. Will certainly return next time we are in Manchester. Only wish we lived closer. Very disappointed with the quality of the main course & pudding. The triple cooked chips were very pale & a small portion, they used to come in a separate copper container and looked far more appetising. The dressed salad as described in the menu accompanying the steak was in reality a small handful of watercress. The pudding was disappointing & not to your usual standard. It was all mixed up in one glass & didn’t look as good as usual. Overall our dining experience was disappointing which is sad as we’d come to come to celebrate a special occasion. Overall it felt like there had been a cost cutting exercise. 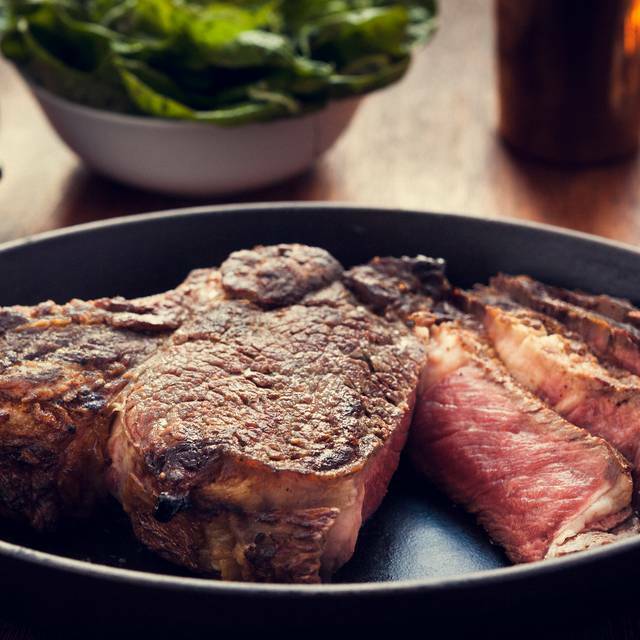 As regular customers of the Hawksmoor in both London & Manchester I’m afraid we won’t be coming back & are looking at an alternate steak house in Manchester to go to in the future. Food was excellent. Old spot belly ribs for starter melted in my mouth. Sirloin steak of a very sizeable portion for £31. Dripping fries excellent and a sticky toffee sundae for dessert. I would highly recommend this restaurant. Thanks a great experience again, we will return on our next visit to Manchester! We had a beautiful meal for a birthday. The staff were extremely attentive, always topping up our water glasses, which is refreshing . Lovey dining room and bar, food was average and expensive for what it was. The real let down was that the waiting staff gave diners the wrong steaks - I ordered rare and got medium, another dine ordered medium and got rare etc. I know it sounds like a little thing, but a good steak restaurant should get the basics right especially when you’re paying over £200 for lunch. None of the food was stand out - steak, chips, sides and starters were all distinctly average. Quite a few places in Manchester I would rate well above Hawksmoor now for simple steak and chips. What a shame! Overpriced. Food was good, staff were lovely but it was far too expensive for what was served. I loved the food and the staff was amazing and accommodating. Usually I’m very picky about food and restaurants in general but I really enjoyed Hawksmoor, food is cooked to perfection and nicest staff I ever met ! Excellent service right from entering the restaurant to leaving. Friendly and knowledgeable staff. The food was outstanding. Would highly recommend this restaurant. This was our first visit, and we were a little disappointed. The room was very cold (I got my coat!) and initially we were sat next to the door and till which wasn't very relaxing! Although when I asked to move staff were good at sorting that, then we had a wobbly table! We ordered wine that wasn't great, and one of the sides - the mushrooms weren't nice at all. I think this may be the best meal and best service I have ever had! It was my mums's 60th Birthday treat and it certainly surpassed all of my expectations. 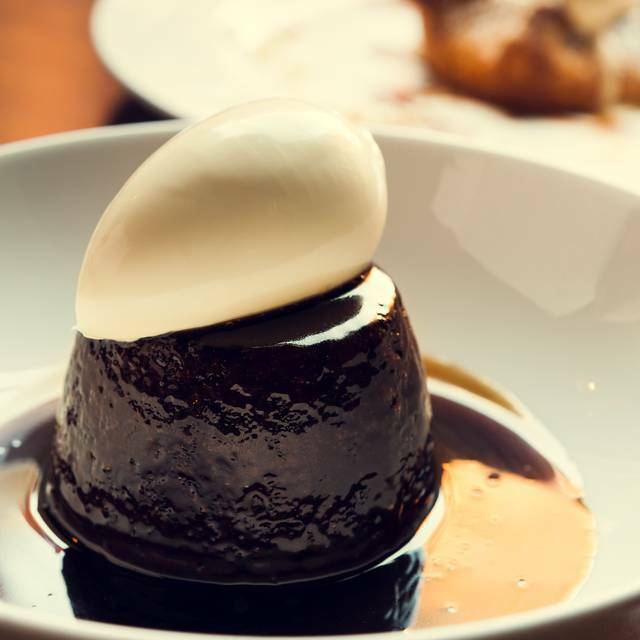 The service is impeccable, the food is stunning and the atmosphere is lovely. I cannot recommend this place enough to anyone looking for a bit a of a treat!! Excellent steak. All food was of highest quality and well prepared and presented. Service was friendly and attentive. We had a lovely time. The food was very nice. When we booked the table for 6 we were asked what the occasion was, it was a 60th birthday, not sure why they ask the question because it was not acknowledged. overall we enjoyed the experience. I've visited many times and the quality of food and service has always been a consistantly good level. This was a business meal and I'd say the food was even better than previous visits. The restaurant was busy and seemed quite noisy on first arriving, but this didn't cause any issues with holding a conversation or on the quality of service. Can't wait to go back again. Thoroughly enjoyed our experience and the food. Would definitely recommend to friends and certainly visit again. 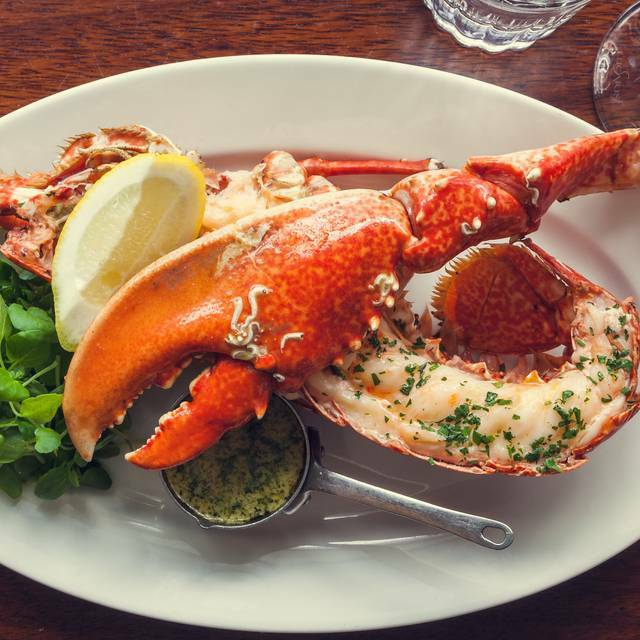 If you are looking for delicious beef and sea food then the Hawksmoor is the place to go! 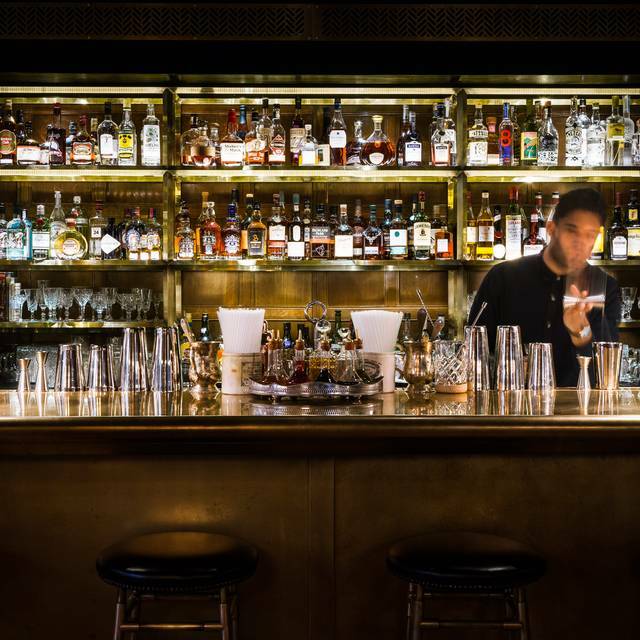 Excellent service and a great atmosphere. The most amazing food, paired with a beautiful bottle of red, our waiter was brilliant, extremely knowledgable, honest and around when we needed him. Would recommend to anyone looking for a nice meal or to celebrate a special occasion! Ryb eye was excellent. Saff friendly. Atmosphere a bit noisy but fun. Beautiful place, architecture. Flawless food and warm service. Brilliant staff all smiling and welcoming! Made the visit well worth it. Food also incredible!! Service and attentiveness was second to none, as was most of the food. The only disappointment was the rump steak, which was difficult to cut with a steak knife, even harder to chew and my husband had to spit half of it out as it was inedible. Other than that, food was amazing! Staff were amazing. Very noisy dining hall. Everything else was so good, save for the high decibels. We love Hawsksmoor. 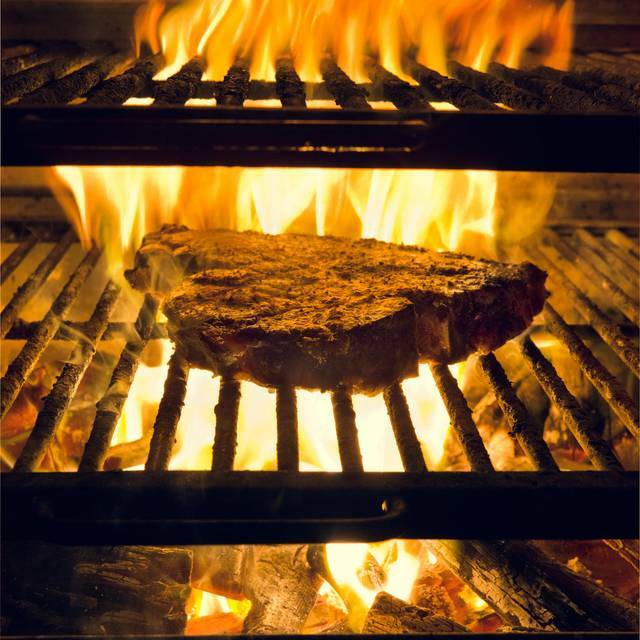 Amazing steak and lovely staff. Our waiter was so helpful. We had a very lovely birthday meal, thank you Hawsksmoor. Fantastic lunch, everything cooked to perfection. The Yorkshire pudding starter with potted beef and onion gravy is out of this world. Can’t wait to visit again on our next Manchester trip. Well worth paying that little extra for quality. 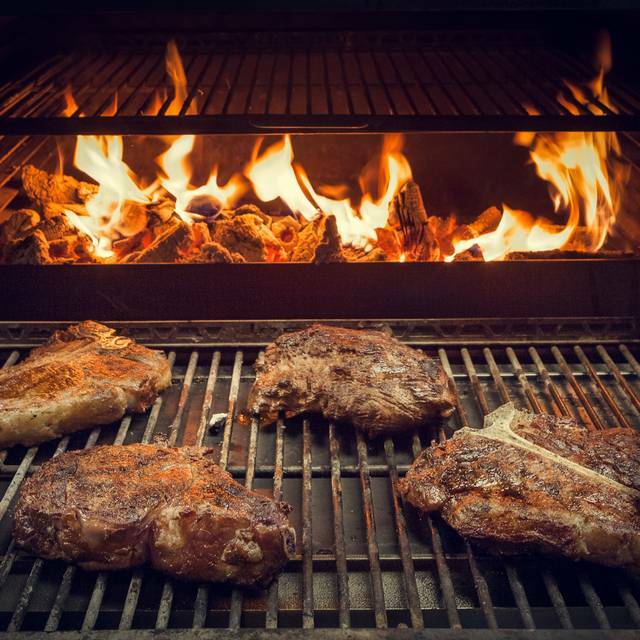 Hawksmoor is very much for carnivores. There is just one vegetarian option, which was very pleasant, but people essentially coming for the steaks. These are very good. The sizes are generous. It is a very expensive place, but you don't feel a fool for having paid it as the quality was excellent. The service is excellent, in that staff are engaged, not stuffy, formal or look like they don't know what they are serving. They really do. It is one of the very few restaurants I've been to in recent years where waiters knew exactly who had ordered what. Increasingly rare! It's in a beautiful old court building basement, so lots of public lavatory glazed bricks, a gorgeous unusually patterend parquet flooring and a lively ambience. Quite a masculine feel - couples go, but lots of groups of men too. For a splash out meal, I would certainly recommend.